By now we’ve all heard the big news. There’s a playoff in major college football. When Oregon and Ohio State kickoff Monday night at AT&T Stadium in Dallas in the inaugural College Football Playoff Championship Game the National Championship will finally be decided on the field. The atmosphere in Dallas has been near Super Bowl levels for the past few weeks in anticipation of the big game, and this year, there was a considerable amount of weekend fanfare thrown into the mix. 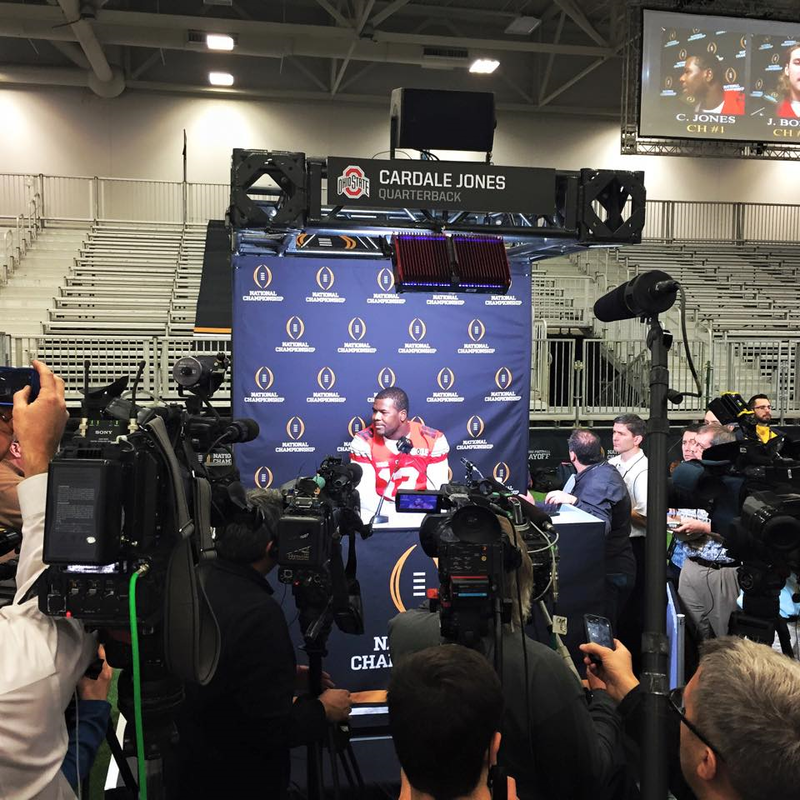 The College Football Playoff Fan Central Event was held over the weekend at the Kay Bailey Hutchison Convention Center in Dallas. 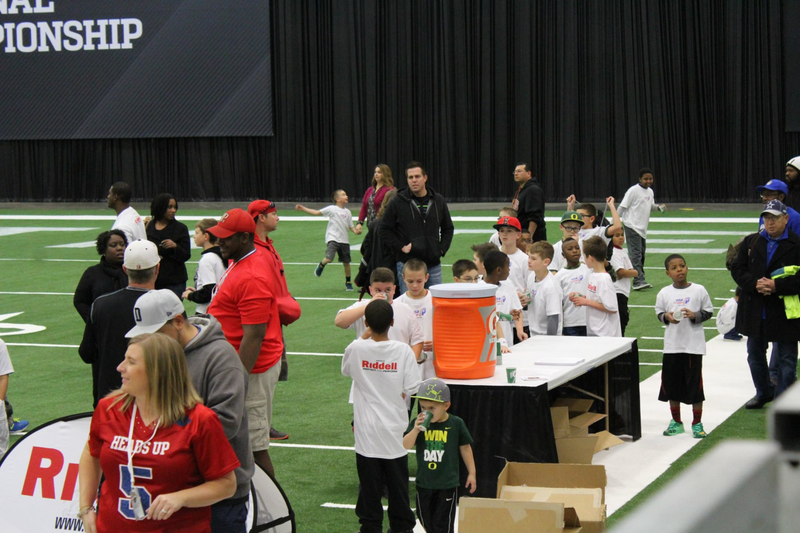 Attendees were treated to concerts, fun interactive games and the official Media Day. And since everything is bigger in Texas, no mini field would do. The event needed a full size field. That’s where STI came in. The biggest hurdle for a project of this size, with the time constraints around the holidays, is installation. How does one install a full size, portable field inside a convention center, only to be torn down three days later? STI spent the better part of the month of December building the field at their manufacturing facility. The field consists of 130 rolls, and is seamed together using a proprietary velcro system. When the Fan Central Event ends, the field will be pulled up and used again. Essentially, STI has created a completely full size, portable field that can be used again and again. The field requires no infill and is installed with a performance cushion backing. The high water mark of the Fan Central Event was Media Day, which was held on the field Saturday morning. Players and coaches from both teams spent several hours on the field answering questions and meeting with fans and media. 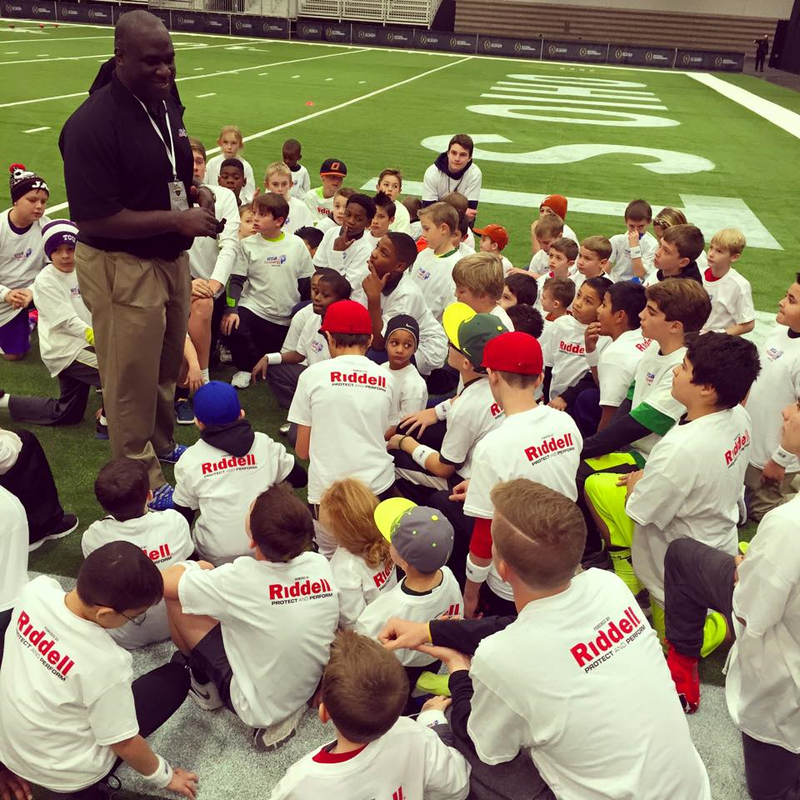 Later in the afternoon on Saturday, the field hosted a youth football clinic, presented by USA Football, where youth players and coaches were given instruction, and the kids had chance to run around on the field. 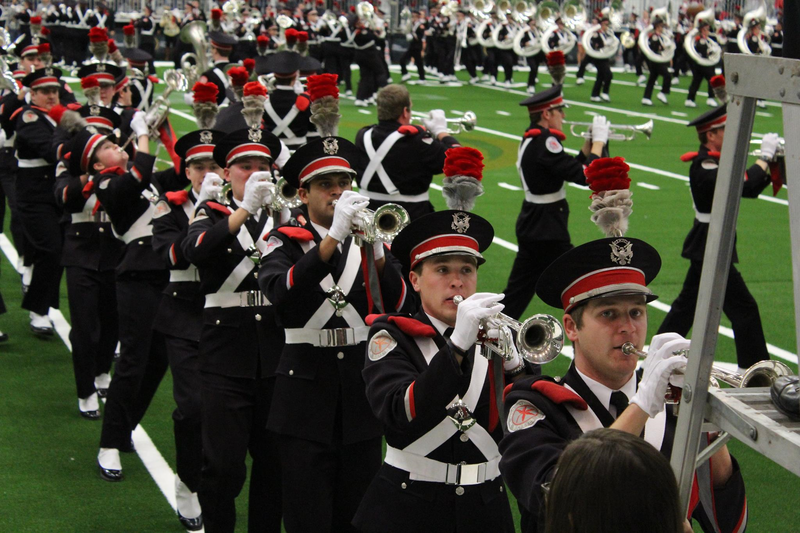 The field played host to marching bands from both Oregon and Ohio State on Sunday. 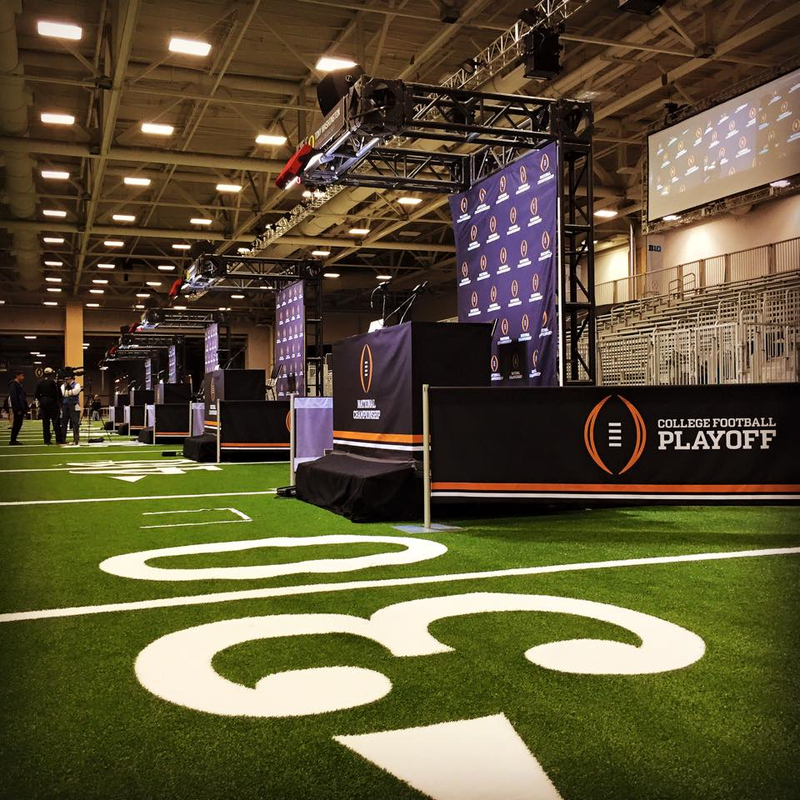 STI is honored to be chosen as the turf provider for the College Football Playoff Fan Central Event. Here’s hoping that the inaugural College Football Playoff Championship Game lives up to its billing.